In the spring of 1955, the celebrated French photographer Marc Riboud (born 1923) bought an old Land Rover from George Rodger (the British photojournalist) and set out for Calcutta. Reared on his father’s stories of traveling, Riboud was keen to strike out into unfamiliar terrain and see as much of the Middle East and Asia as possible. He first stopped in Istanbul, traveled through the rural landscapes of Cappadocia and Anatolia, and then headed across Persia, into Afghanistan, where he made extended forays into its tribal regions. In 1956, he arrived in India, the length and breadth of which he traveled for nearly a year, from Calcutta and Darjeeling in the east to Delhi and Rajasthan in the West, then South to Bombay, and North to Varanasi and into Nepal. It was from Nepal that he entered Communist China, as one of a handful of Westerners to obtain a visa at this time. Riboud ended his “grand tour” in Japan in 1958, eventually returning to France with thousands of photographs. 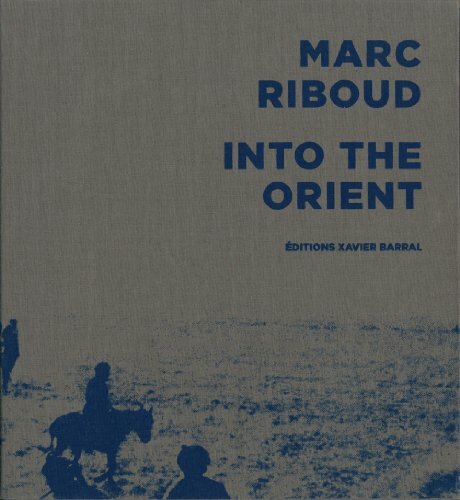 This five-volume box set gathers together a sprawling visual journal from Riboud’s three-year odyssey, with images ranging from architectural photographs to portraits of hospitable locals.